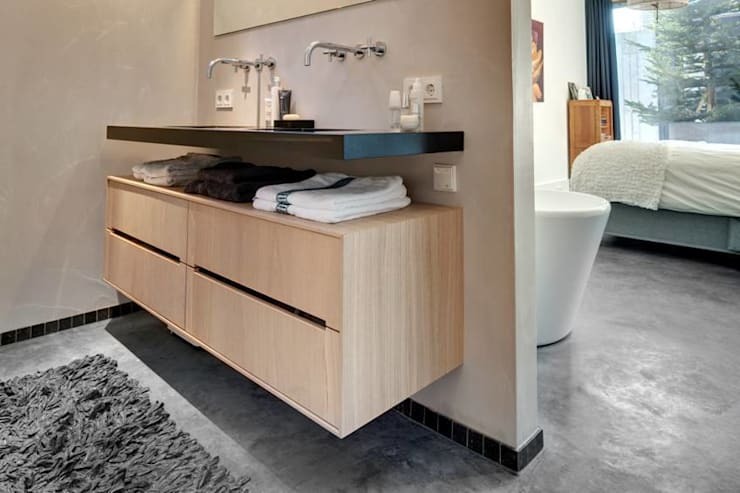 Today on homify 360, we head to the Netherlands. This spectacular design project by the team at Kwint Architecture will have you spellbound. It's a modern home with a rustic charm set on a rural estate with a picturesque countryside, and it's absolutely captivating! The unique and unusual interior architecture is elegant and stylish, we love the pleasant and airy space, the use of quality materials and the decor that is welcoming! It's definitely a family home in the country and that's what makes it so much more awesome! 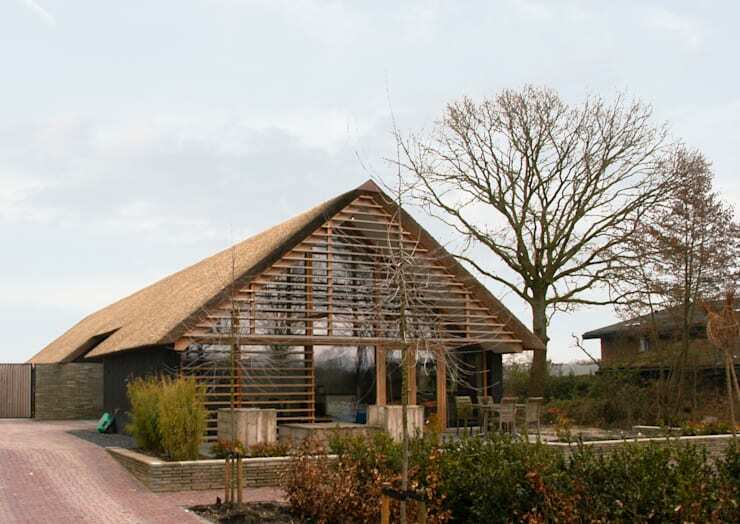 And of course in true Dutch style… the thatch roof style must be included! The pitched roof of this home exterior has an almost barn-like effect, but instead of being a shelter for animals, it's a magnificent home. It is a fantastic fusion of traditional and modern architecture, creating a totally comfortable and attractive exterior, which is eye-catching and aesthetically pleasing. The home allows for a good amount of natural sunlight throughout the day, while also maintaining the privacy of the residents. This image is quite intriguing isn't it? You'll definitely want to explore of this gorgeous cottage, wouldn't you? This first glimpse at the home interior shows off the elegant and bright space within. It adds a cosy comfort that is quite pleasant, while being functional and practical too. 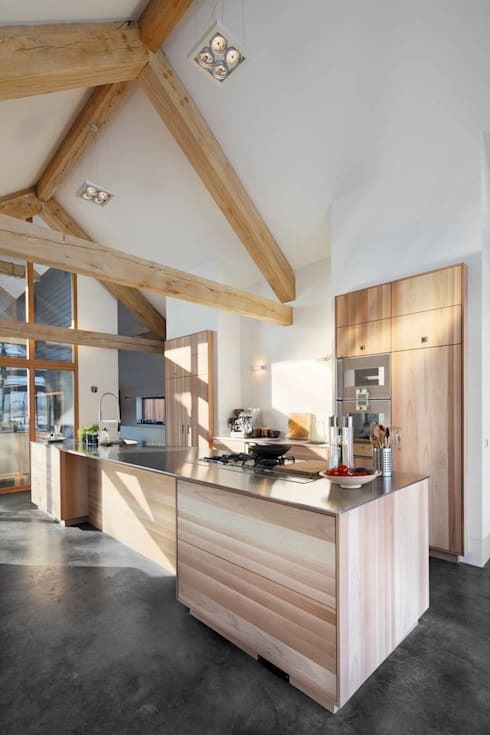 The natural timber beams that decorate the interior add both a construction value, while making the kitchen look a little more interesting too. The kitchen is perfectly designed to suit this home, with lighter wood, sleek countertops and modern appliances adding to the style. 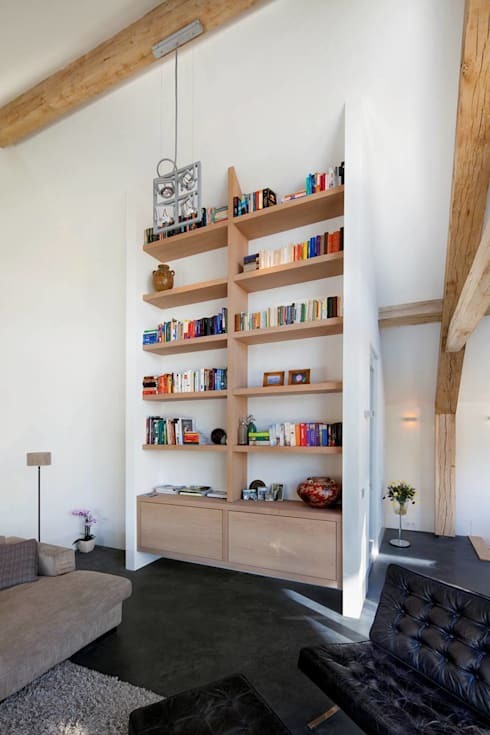 The flooring is simple concrete, which creates a rustic touch. It's an open plan kitchen layout that is so fantastic! While many people opt for creating a designer home using technology, this family seems to value the simpler things. A library says a lot about the residents and the things they value most, and while the collection may not be vast, there is room for more books to be added as time goes by. The bookshelf is simple, nothing out of the ordinary or too opulent, but the colour scheme matches the rest of the home perfectly! The neutral use of colour, along with the all-white walls creates a comfortable area, one that can be enjoyed by the entire family! Timber has played an integral role within this home, both structurally and aesthetically, and this stairway is no different. It has a natural setting, and with the home situated on a rural farm, blends in perfectly with the exterior. 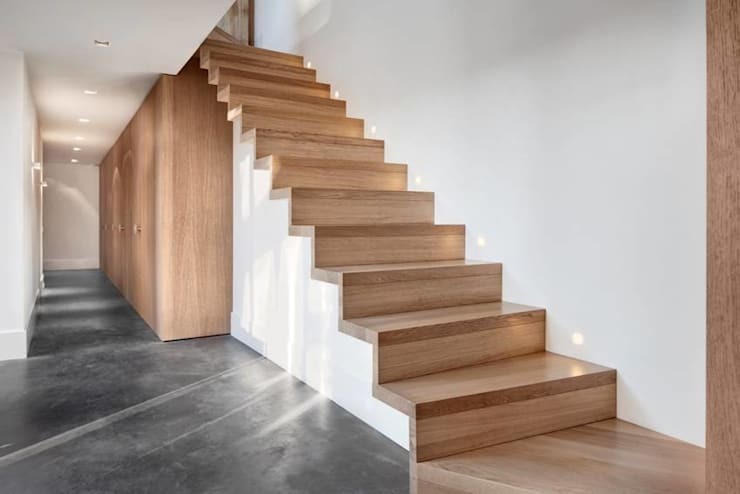 This gorgeous timber makes the staircase elegant, amazing and quite extraordinary. There is nothing fancy about it, besides the simplicity of the entire space. The stairway leads to the private sleeping quarters of this beautiful home, which we will catch a glimpse of in the next image. This image shows the ensuite section of the main bedroom. It gives us a sneak peek into the simplicity of the main bedroom, while showing off the elegance of the minimalist bathroom. The fixtures and furnishings of this bathroom is modern, while the floating cabinet creates the perfect way to keep the space uncluttered. The bathroom also has concrete flooring like the rest of the house, but with the added benefit of underfloor heating, creating a great space to relax. It's a designer bathroom at its best! The shaggy rug on the bathroom floor just adds to the comfort of this space! We have reached the end of our fantastic homify 360 tour, but before we complete our Ideabook, have a look at the back of the home. It's a modern take on an old classic… the courtyard. But it's been done so perfectly that although this space connects all the rooms to a central point, it also allows for connection with the great outdoors. Enjoy a gentle summer breeze from the comfort of your bedroom or create a social space with some deck chairs and take in that crisp fresh air! Who says country living needs to be without modern comforts? This home definitely takes advantage of its surroundings in a modern way! Is it a thatch roof that you're after? 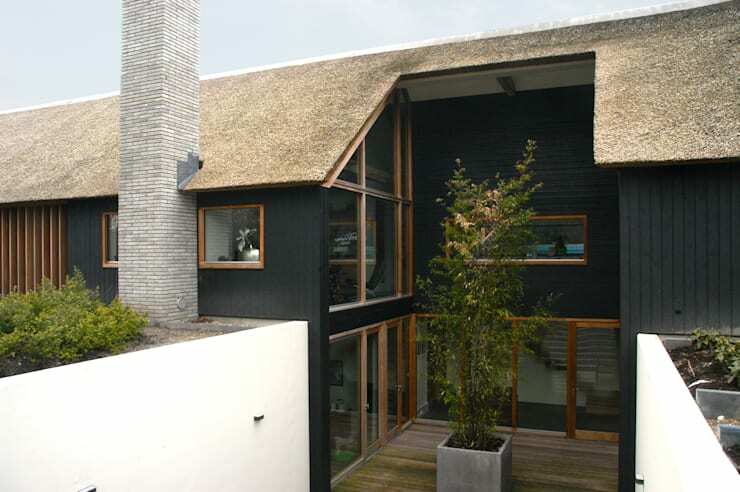 Then how about: The Thatch Masterpiece. Have you ever decided to move to the countryside? What do you think of this home? We'd love to hear your thoughts!